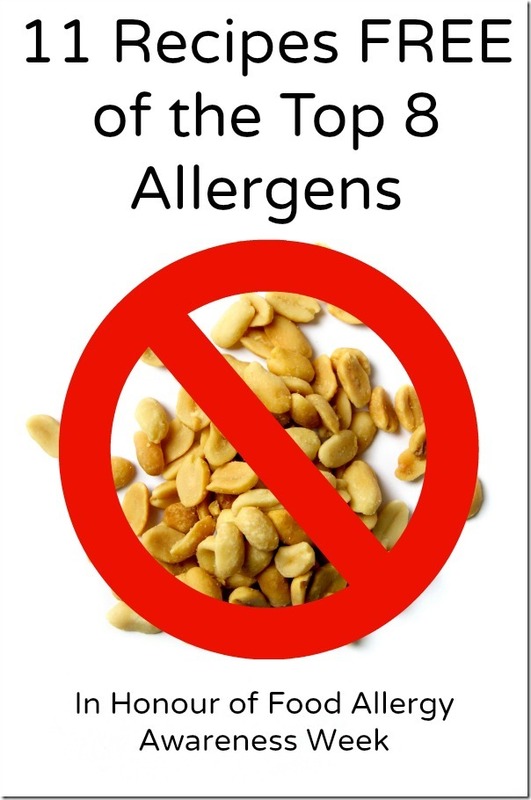 For Food Allergy Awareness Week I wanted to provide a collection of recipes from around the blogosphere that are FREE of the top 8 allergens so you can provide a yummy dish to all your potlucks and dinners without worrying about anyone’s allergies. Sometimes you know the allergies of your guests and then you can plan accordingly. But for those times when you are bringing a dish to a dinner full of people you don’t really know, it’s good to have a dish you can make that everyone can eat. Baked Beet Green Chips from Eat. Thrive. Glow. There are of course tons more recipes out there that you can find. The blogosphere is full of great blogs with recipes. Start by checking out the ones above and seeing what else they have to offer!